Details: Two contributors photographed this recovery on 20th March 2019, so I have decided to include one photo from each. Merton's Wright Streetdeck bus WSD10 came to grief opposite Victoria Coach Station while working route 44. 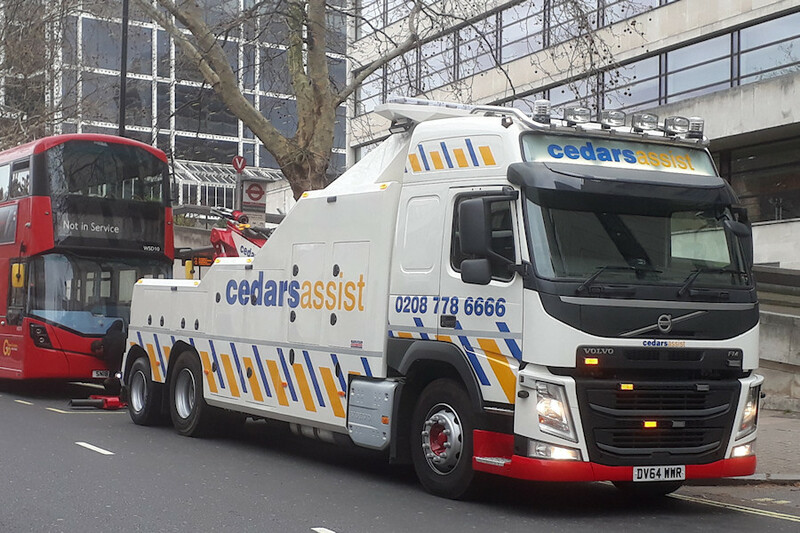 Cedar's Assist (I couldn't stop myself from adding capitals and an apostrophe!) attended with their Volvo FM DV64WWR.